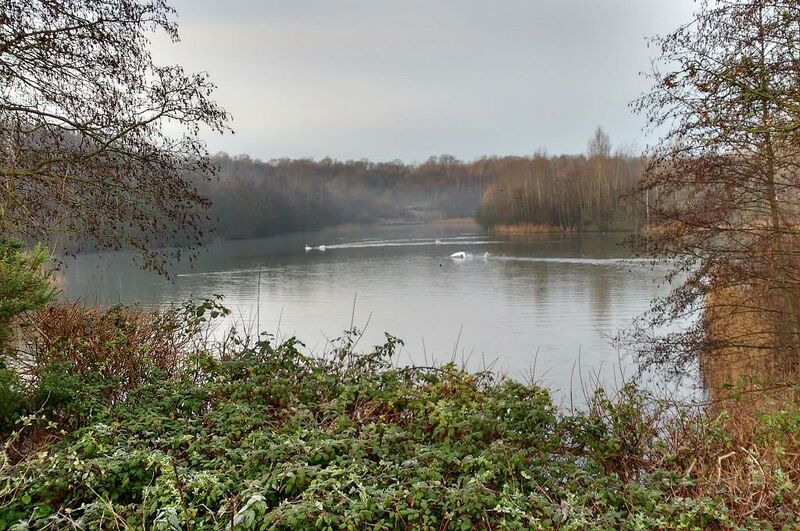 Today, I ran at Horsham parkrun for the second time at its new winter home of Southwater Country Park. It was great! Just over 300 people were there (run report) and I really enjoyed the route round the lake in the Park. With my Sunday training, I completed my longest run last weekend, 13.4 miles in 1 hour 59 minutes, and ran it very well. The pace at the start and throughout was perfect, mainly because I ran the route with a fellow Horsham Jogger the whole way. It just so happened that his pace was ideal for me. Thank you Stephen E! Very pleased with 13.4 miles in 1 hour 59 minutes. I was especially pleased with the run because it was a hilly route and I was able to run the last two miles at my fastest pace over the 2 hours. I’m hoping that I can do something similar for my next long run. I’ve been working on a Perch CMS site this week. Updating it to the latest version. This is normally a smooth process and it was mostly uneventful this time, until the bit where the update was completed and I could no longer login on the live site. Not ideal! For this site, because of the version number, I had decided to update in two stages, to the latest version 2 release (2.8.34), and subsequently to version 3 (3.0.13). Local and staging sites were updated without problems but the live site had the login problem. Despite investigating and getting the web hosting company’s advice, we were unable to pinpoint the exact cause. It might have been a session storage issue but it’s not clear. Anyway, with back-ups in place, I decided to upgrade the live site to 3.0.13 directly. Problem solved! No issues with login after that upgrade. Perhaps I was being too cautious with the two step process and direct update would have been best. I’ll know next time. There’s more work to be done on the site and that’s good. It’s the type of work I want because Perch is a great system and I like working with it. What is the Media Object? Creating a Mondrian painting with CSS Grid and video here. I hope to use similar code media object code on the rebuild of CVW Web Design which I described in Weeknotes 1. I’ve been thinking about my financial commitments for a few days. Partly because of a letter from my personal pension provider explaining different pension options when I get to that stage. There are lots of potential choices. However, a more pressing financial event is that my mortgage comes to an end later this year. Yikes! Before then, I need to decide what to do, remortgage, pay off the mortgage, or refinance in some other way. I have been overpaying in recent years and I might be able to pay off the remaining amount if I raid my savings. Again, lots to think about. A couple of pints of Thornbridge Wild Swan in the Anchor Tap with Matt, Roger, Graham and, this week’s ‘special guest’, Davey Pearson from The District Post.